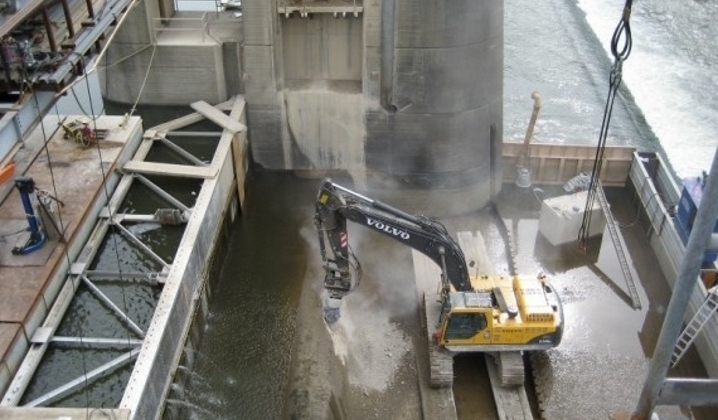 Emsworth Back Channel Dam Rehabilitation | OCCI, Inc.
OCCI completed the removal and replacement of the 6 vertical lift gates on the back channel dam at Ohio River Emsworth Dam. This work included removal of 6 existing lift gates weighing approximately 220 kips each, removal and replacement of the operating machinery and machinery houses on 7 piers, and installing the new gates weighting approximately 190 kips each. Machinery replacement of existing chain and drive motors with hydraulic lift cylinders and associated piping. One gate bay included major concrete demolition on the gate sill as well as removal of the gate infill concrete. 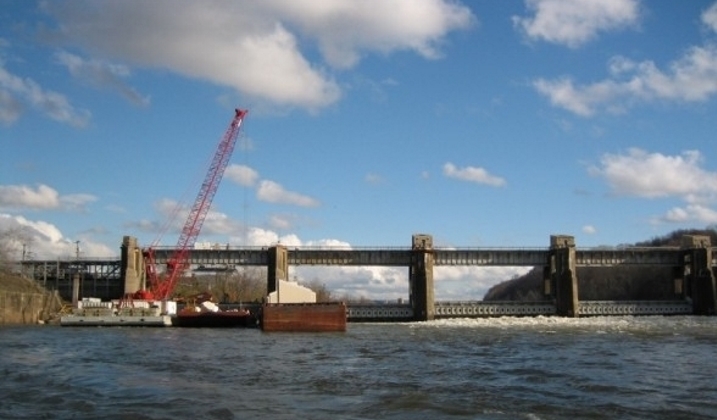 All piers required removal and replacement of seal channels as well as minor concrete repairs. 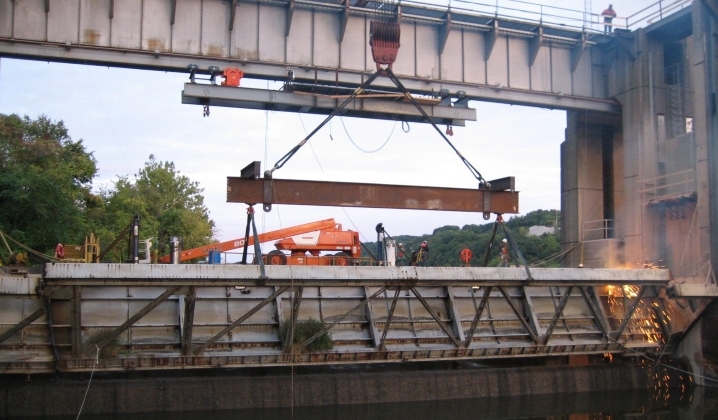 In order to accommodate the hydraulic cylinder lift height capacity, hydraulically driven dogging beams were also installed in each pier so that the single stage cylinder can operate in a second stage.